I am the owner of Pant the Town Photography and I’m located in Georgetown, MA. I specialize in natural light, outdoor on-location photography of pets. I’ve lived in CT, NC, Chicago, and Atlanta, but I’ve been in MA for about 16 years now. I love the New England settings and the changes in seasons – perfect for photographing all year round! I live with my wonderful, supportive husband, Pete, and our challenging, sweet rescue, Kota. Kota got me to where I am today. She wasn’t an easy dog who came up on a transport 8 years ago from AR. 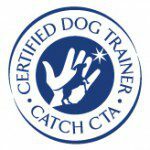 After we went through several dog trainers (3) who had the idea of using punishing methods (a prong collar) of training on an innocent 5 month old puppy, that led me to learn all there is to know about the science of how dogs learn and becoming a certified dog trainer. Knowing about dog body language and working with fearful and reactive dogs has definitely helped in working with a variety of pups as a pet photographer. The following image was taken by my husband for this post – great job, Pete! Kota is a dog who has a “bubble” of personal space. She doesn’t like anyone coming too close to her and also doesn’t enjoy being in small spaces. Here we taught her “kiss” – the only way she will get close haha! Before I began working with dogs, I was a flight attendant for American Airlines for 16 years. I LOVED to travel! 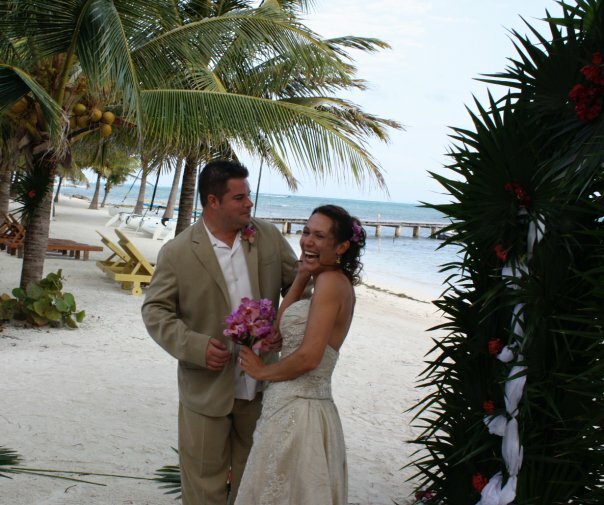 I was married in Belize, my favorite place to visit, and we visited there twice a year for quite some time. Now, I’ve become a complete “homebody” and I wouldn’t go back to the gypsy lifestyle. I left American almost 5 years ago. I haven’t stepped on a plane since. Guess what? I’m flying this coming April to the Animal Image Makers Conference in Minneapolis – wooohoo, a big step for me to get back on an airplane! Are you wondering how 16 years as a flight attendant might make me a better pet photographer (it sure does!)? One thing would be continuous patience working with the public. Also, I will never forget those days of being stranded on the tarmac with an endless, creeping “delay” with travelers getting anxious and impatient. I learned that some “well – timed” snacks made for a much better environment for all! And those well- timed snacks work just the same for getting a dog’s attention and helping them into a “sit” or a “down”. Yes, we can train both people and dogs haha! Pete and Kota having fun! Along with teaching dog training classes at the MSPCA in Methuen, MA, the last few years, I’ve spent a lot of time learning and improving my photography skills. I’ve taken on-line classes and also worked one on one with a mentor. I’ve definitely found my passion in working with animals in all different ways. I spend time volunteering to photograph adoptable animals at two local rescues: MSPCA at Nevin’s Farm and Cat Tales in Seabrook, NH. I am also a member of HeartsSpeak – an amazing organization of artists/creatives using their work to help find animals forever homes. Ready to join me on a fun photo adventure with your pet(s)?! I’d love to meet you! Click here! Thank you for stopping by for a visit! Next up in our Pet Photography Blog Circle is Pet Love Photography, serving Greater Cincinnati, the San Francisco Bay Area, and destinations nationwide. 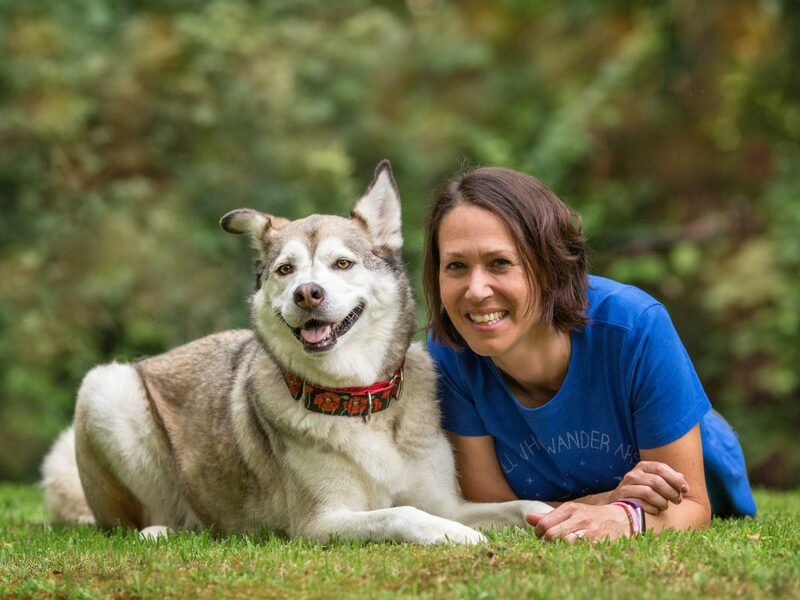 Susannah coordinates our weekly blogs, and she is an amazing pet photographer with a few adorable pooches of her own. Click on the link at the end of each post to follow along and meet some amazing pet photographers around the world. Have a wonderful weekend! Thanks, Kim! My dad does photography and as for Pete, I set him up with the camera and he did pretty good!!! Aww. I love Kota! I love to travel but I can see how doing it for so long might become draining. Your wedding looked beautiful- I got married on a beach but in VA Beach, VA not nearly as exotic 😀 Thank you so much for sharing this part of yourself. Thanks, Shae! VA beach i’m sure was beautiful! Nothing like getting married barefoot in the sand! Kota is beautiful! My Lacie is also reactive with fear issues. Our journey has not always been easy, but she is doing so much better and has taught me so very much about myself. They really are a gift, aren’t they. Thank you so much, Colleen! It’s a challenge with fearful dogs, but so worth it. They definitely make our worlds! Thanks, Elaine – i will let them know you mentioned that – they sure will appreciate the complement! And that’s my favorite hat! From Sweet Turns! I’ve never been fond of flying, although I envy your travels! That image of Pete and Kota is fantastic. The images are great especially the b&w. Nice write up about who you are and your love for animals. Thank you so much! 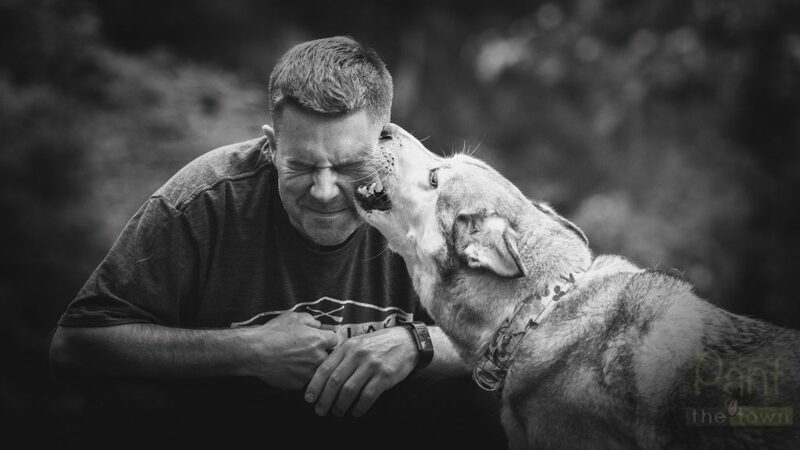 Love the B&W of Kota and Pete – they are two peas-in-a-pod for sure! Agree the black and white images you create as special and unique, love all of them. Especially the one of Kota and I : ) Great blog topic and enjoying hearing and seeing these. Excellent work and hope you can get some snow pictures this weekend and not ice pics, although sure you will get creative with that too! Thanks, Pete! I love that picture of you and Kota 🙂 Always makes me smile! I appreciate it! Great blog – I feel like I am getting to know you and others by reading this past week’s blog – I wish I had made the time to do it, but I didn’t. So, I will probably do one on my own schedule. I’ve started working some with my girl Abby – teaching her touch and working to hopefully get her past fear issues (my 2019 goal) and I am remembering some things you told me a while back – thus far, we are making progress. Thanks for the help, and it’s really great learning that a several of the photographers are also dog trainers. Thanks for stopping by this week, Linda! Glad you are working on “touch” with Abby – such a good behavior to teach and the dog’s love it! Great to learn a bit more about you Darlene… and I find it so interesting learning what everyone did prior to becoming a pet photographer. I can understand you wanting to be a homebody now after all those years in the air. Your husband did a great job with those photos too! Thanks, Jo! Yes, I LOVE being home these days 🙂 I agree – Pete did pretty good with taking the photo! Thanks, Lynda! I appreciate it! I will be sure to let both Pete and my dad know you mentioned it – they will appreciate that! Yes, I enjoyed this week’s posts! Thank you so much for all you do for the kitties at Cat Tales! Your pictures are always magnificent and help the animals to be seen and to be adopted. What a gift you have! Aw, thank YOU, Sonia! My pleasure helping these amazing cats find forever homes!!! WOW, our lives on parallel paths! I’ll let you know when I’m up north to visit family later this year, we gotta meet! That would be awesome! Keep me posted!! !